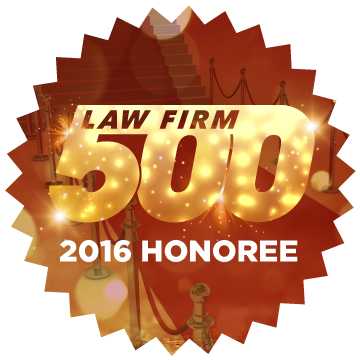 Rimon Law Ranked #23 fastest growing firm in the national law firm 500 list. This award is a testament to the trust our clients have put in us. The published list recognizes law firms that have achieved significant growth in revenues. Each nominee was evaluated by an outside accounting firm, and subjected to an identical review process. The award honorees are a beacon of light for the legal industry demonstrating innovation, operational excellence, and a commitment to client service. Rimon Law was also recently selected as one of Acquisition International (AI) Top 50 Legal Elite Firms and named “Technology Sector Law Firm of the Year in California” by Corporate INTL. Additionally, Rimon was named to US News and World Report's Best Law Firms (Tier 1), Best Lawyers, Super Lawyers, and the Financial Times' Most Innovative Law Firms. Harvard Business Review, Stanford Law School, Harvard Law School and many others who have also recently recognized Rimon for excellence and innovation. Rimon again named on U.S. News and World Report’s 2017 edition of “Best Law Firms"